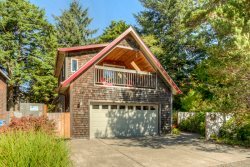 Should any questions arise while you are planning your Oregon Coast vacation consult our extensive list of frequently asked questions below. For answers to questions not listed please contact our office for additional assistance. Where do I pick up the key to my rental? All our properties have keyless entry systems. Our reservation specialist will email you 3 days before your stay with your check in information including your door code. For all properties, check-in is at 4:00 pm and check-out is 11:00 am. Are early and late check-outs an option? Yes, there is an option for early and late check-out. This option is only available for off- peak season times (October-May). Please ask your reservation specialist about this. Early check ins are 3:00 pm and late check outs are 12pm. If wanting earlier/later, than fees may apply. Can we clean to avoid the cleaning fee? The cleaning fee is to clean the home for your arrival, not for your departure. It is non-refundable. Are there washer and dryers available for use? Yes, all of our homes come with a washer and dryer. Laundry detergent is also provided. Yes, some of our homes do allow pets. We do not charge pet fees. Please ask your reservation specialist for more details on those homes. How soon do I get my security deposit back? We do not have refundable deposits. At time of your reservation, you are charged a one-time non-refundable damage protection that covers up to $1,000 of unintentional damage. Do any of the rentals allow smoking? We have no rentals allowing smoking in or on the property. Must smoke in the street. Do the homes have Wi-Fi connections? Yes, all our homes have high speed Wifi internet. Do we have any wheelchair accessible homes? What do we do with our garbage? Every home has outdoor garbage cans, please use those. If you have more trash than what fits in the can, please take it with you or to Cart'm. There will be an extra cost for excessive trash. What if I damage something or I notice something damaged in the house when I arrive? We make every effort to make sure your home is ready upon arrival. If something is broken by you or you find something broken, please notify our office immediately so we may get a replacement over to you and to document it for the owners of the homes. 503-368-2929. Where can I receive packages/shipments while staying in Manzanita? We would be happy to accept those for you and have them waiting for your arrival. Please let us know what you are sending and when. You may send to 532 Laneda Ave. Manzanita if sending through UPS or FEDEX. If using United Postal Service, send to PO BOX 510 Manzanita, OR 97130. Thank You for considering Manzanita Beach Getaway Rentals and we look forward to hearing from you.